New RobotGeek Voltage Dividers are in the Store! 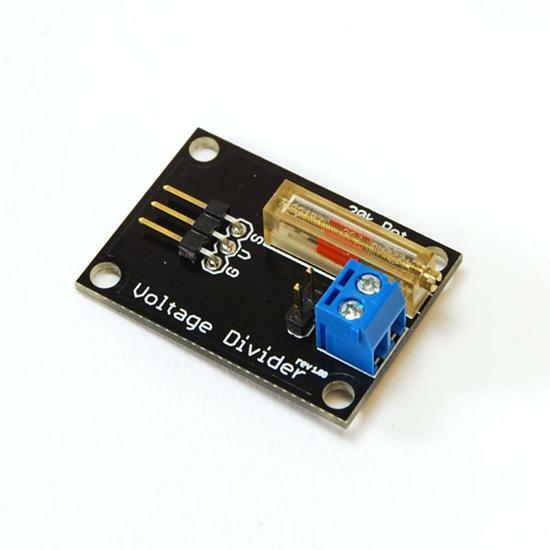 Developed in-house, the RobotGeek Voltage Divider is a great little board that will make it easy to connect analog sensors up to our Arduino. Just about any analog sensor, like out Force, pressure, and flex sensors can be used with the Voltage Divider. The three pin voltage divider can easily connect directly to the arduino, or attached to a breakout shield. Your sensor can connect to the voltage divider using the 2-pin male header, or the screw terminals. Finally, the built in potentiometer will let you adjust the circuit’s sensitivity. Check out the product page for a wiring diagram and PCB files. Our friend RobertLam18 put together a very straight forward explanation of how he develops custom walking gaits on his modified Bioloid Premium Kit. I had the pleasure of meeting him in South Korea earlier this year for the Korean Robot Games Festival and his tricked out Bioloid was certainly impressive! The same basic principles here apply to most humanoid configurations and it’s nice to see a step by step process put together and the results it produces. Definitely check it out if you’re interested in developing your own walking gaits! Want to win a Bioloid? Announcing the TRC Tutorial Contest! Time flies! It’s that time again to officially announce the next round of the Trossen Robotics Community (TRC) Contest. We had quite a bit of success with our previous Project Contests and a lot of very cool entries, however we are going to mix things up this time. This round is going to be a Tutorial Contest , and is quite a bit different from our previous contests. Think of it as an ‘Instructables meets How Stuff Works’ style contest: We want you to submit entries in the form of a detailed step by step ‘How-To’ or Informative Tutorials. We’re going to be asking a lot more of our participants this round, so we have raised the stakes and are giving away our biggest prizes yet! Without further ado here are the prizes being offered for this round! 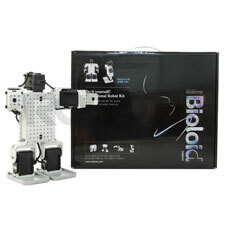 New Beginner Robotics Kit from Robotis! Tons of parts to build with! You’re probably asking: “Well what’s the catch?” We won’t lie, we’re going to make you work for it and put your knowledge to the test! What is a gyroscope/accelerometer/analog or digital signal? Choosing the right (Microcontroller/DC Motor/Sensor) for the job. Theory of Inverse Kinematics, Dead Reckoning, Spacial Mapping, etc. We’re looking for well written, detailed entries that a beginner could read through and learn from. The emphasis on this is creating valuable tutorials and FAQs that the community as a whole can benefit from. Diagrams, pictures, source code, practical applications, text references and examples are welcomed and strongly encouraged. Plagiarism will not be tolerated, please cite any reference materials used. We are not looking for build articles during this round. Entries will also be judged in a different manner than before: Contestants are encouraged to post as many tutorials as they like; in fact, the more tutorials submitted, the more points they receive towards their final score. Now that said, quality is greatly valued over quantity. One detailed, well written tutorial will hold more weight than five mediocre ones, but if you post numerous well written tutorials you’re going to be in very good shape. Previous project submissions were based out of our Project Showcase forum, but this time all submissions must be entered into the Tutorial section. Please visit our Project Contest Page to learn more about the contest, how to enter and for the official rules and guidelines. 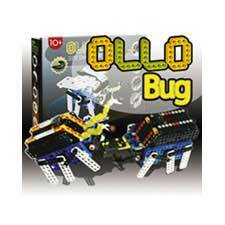 Somebody is going to be a proud new owner of a Bioloid Comprehensive Kit, Bioloid Beginner Kit, or Ollo Bug Kit, will it be you? Make came up with a very easy to read “Getting Started” guide for the Pololu 3pi, which we carry as a complete starter kit. If you’re looking for an inexpensive platform to start programming in C with, you won’t find a better value than the 3pi Robot. This week I am going to show you how to get up and running with the 3pi by Pololu. I will be going through all the steps needed to upload the line following program that is included from Pololu. Getting started with the 3pi isn’t too difficult, but there are a few applications and drivers that need to be installed. Note: In this tutorial I will be using a PC running Vista. You can program the 3pi on a Mac running OSX or Linux, but it’s a different procedure. You can even program the 3pi through the Arduino IDE! You probably have heard the term thrown around, but many out there might not know what an Accelerometer does exactly. 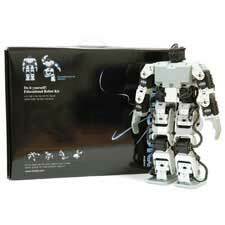 They are used in a variety of modern machines and gadgets, and a necessity for dynamic balancing in walking robots. Here is a quick tutorial video that we put together, explaining the basics and application of Accelerometers.